Among the many evocative titles to emerge from the mists of Scottish history, perhaps none rouse the imagination like the Lords of the Isles. These were the sea kings, who ruled from the Viking Age to the end of the 15th century. Lands from the Mull of Kintyre to Stornoway were their domain. The sea kings’ retinues were not made up of mounted knights like the mainland lairds. Theirs were birlinn war galleys filled with mail-coat wearing, axe and broadsword-wielding warriors whose battle cries rang out in Gaelic, sometimes with a hint of Norse. These were no mere raiders or brutes as you might imagine, however. In the 14th century nearly one-third of Scotland was controlled by Clan Donald of the Isles, and their domain included cathedrals, international trading centres, and above all Iona, the ancient spiritual heart of Scotland. When not joining in the endless wars in Ireland as mercenary gallóglaic, the Norse-Gaels ruled from a network of castles that guarded Scotland’s waterways like stone sentinels. We count these stone castles as some of the oldest in Scotland, and reaching them is often a great adventure in itself. Many date from as early as the late 1100s and were witness to great bardic tales, bloody battles and the twilight of a way of life. 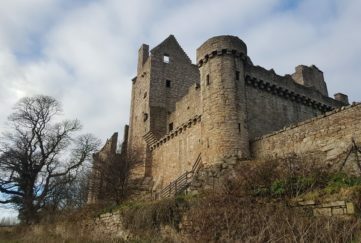 These are some – but by no means all – of the most worthwhile castles to visit to journey in wake of Scotland’s medieval sea kings. It doesn’t get much more stark than this – a massively thick curtain wall atop a rocky bluff that drops into the sea. Castle Sween, named for its likely builder, Suibhne ‘the Red’, is elegant in its brutal simplicity. The castle is now considered quite remote and tough to reach, but this is a perfect illustration of how times change. When the Lord of the Isles ruled the waves its position on the coast made it highly convenient. After all, for much of history waterways were not barriers but highways – and when you consider Scotland in this light, everything changes. Historic Environment Scotland look after the Castle Sween site. It’s free to visit and open all year round. More info here. A jaw-dropping sight, the seat of the MacLeans on the Isle of Mull is at once ancient and new. Its origins lie in at least the 13th century, but a 20th century rebuilding programme gave the once-ruinous castle its current appearance. Its position on the dubh ard, or ‘black point’ from which it gets its name, is majestic. 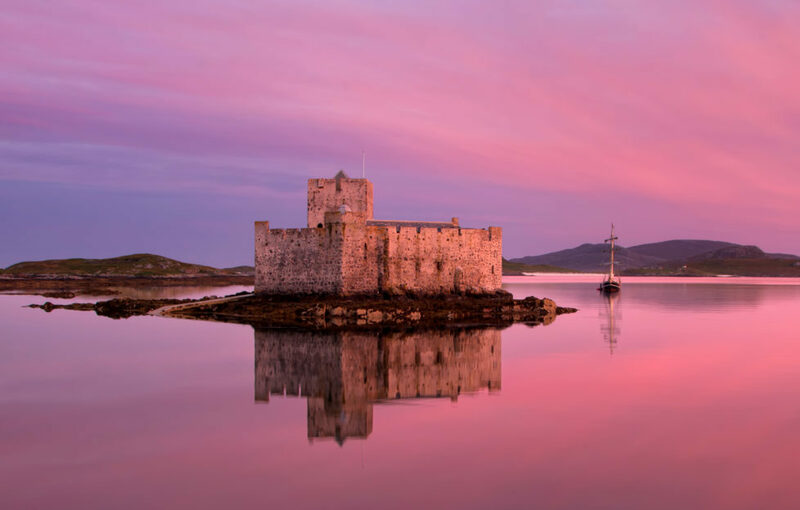 with exceptionally knowledgeable guides and fascinating exhibitions, Duart is one of the very few west coast castles that provides a roof over your head – a welcome respite on a typical wet and windy day in the Isles! 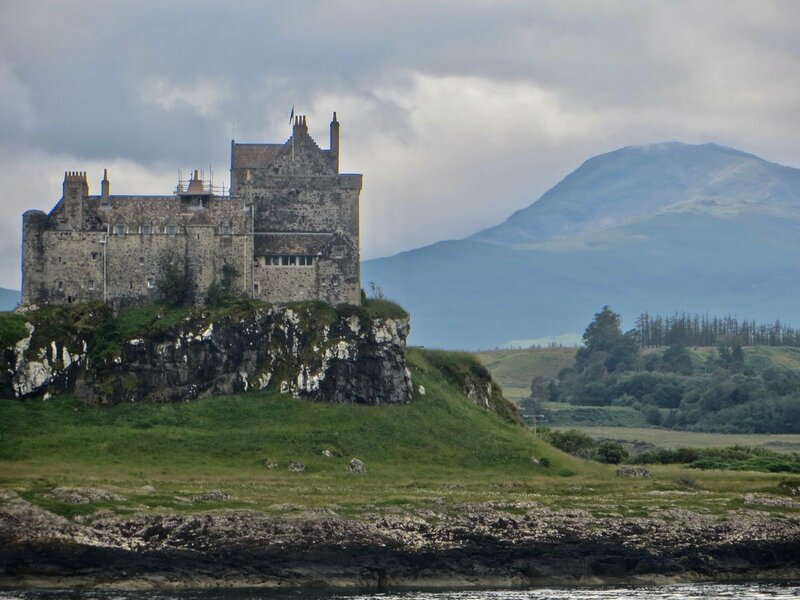 Duart Castle, Isle of Mull, is open March – October. Castle entry £7. More info here. Much like Castle Sween this castle began as a simple set of four walls – and in fact also built by Suibhne ‘the Red’. Campbell lairds later added a bit more flair with pink-trimmed masonry and a tower. 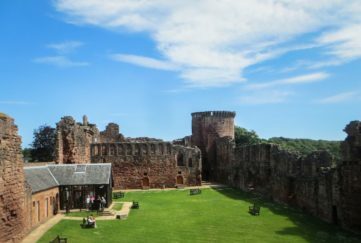 Skipness is a delightful 2-for-1 deal, with the castle itself and a nearby medieval chapel featuring several remarkable carved grave stones depicting formidable west coast warriors. There are also spectacular views across to Arran, where another castle stands guard at Lochranza. In my opinion Skipness should be on the map just as much as far better-known castles like Doune Castle or Castle Campbell. 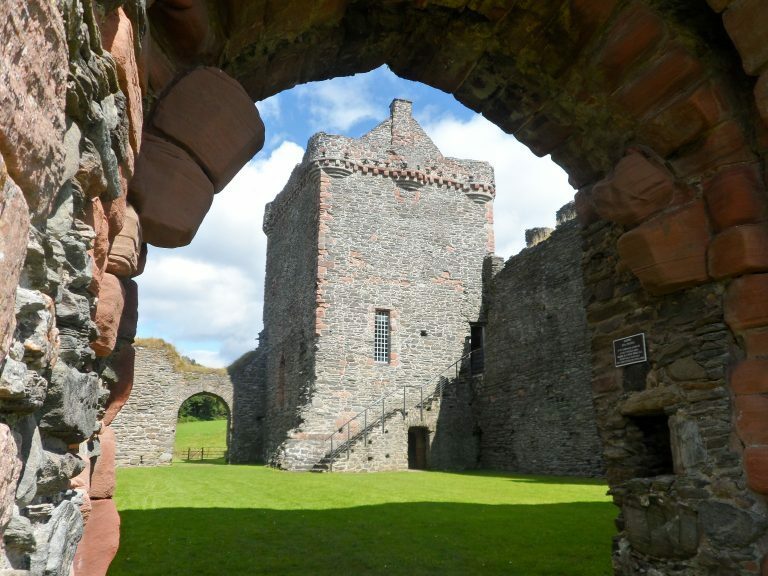 Situated on the east coast of Kintyre, Skipness Castle is free to visit. Castle and chapal are open all year, but the tower is open April – September. More info here. 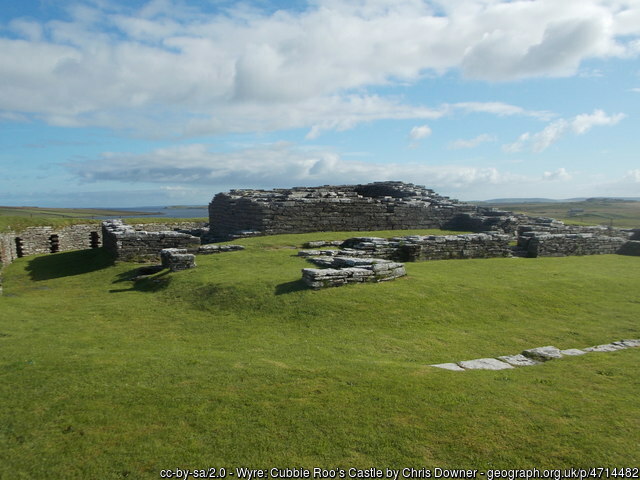 Lots of castles claim to be the oldest in Scotland, but if I had to bet on the true winner, I’d be betting on Cubbie Roo’s on the Isle of Wyre, Orkney. After your tour, hop over to the adjacent Isle of Rousay, known as the ‘Egypt of the North’. Its density and variety of archaeological sites spanning more than 5,000 years is almost unparalleled. Cubbie Roo’s Castle is free to visit. Veterans of scouting out Scotland’s castles all have a handful of moments they’ll never forget. 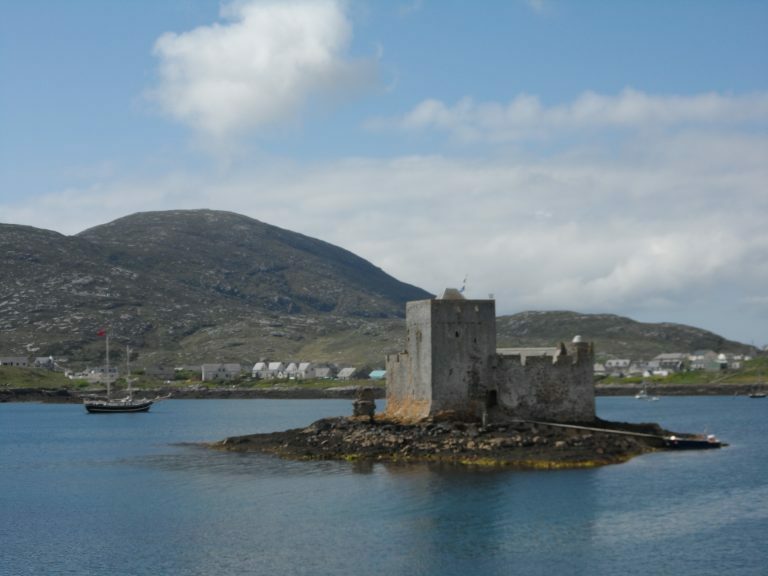 For me, arriving at Kisimul Castle, is one such moment. Off the shore of Castlebay on the Isle of Barra, the waves lapping against the defiant walls of the island fortress. In this far-flung place the MacNeils were nigh-untouchable. It is said that in the heyday of the Lordship of the Isles, each evening the MacNeil chief’s piper would play from the battlements to announce that ‘the great MacNeil of Barra having finished his meal, the other princes of the earth may dine’. Open March – October. Entry currently at a reduced price due to renovations. More info here. 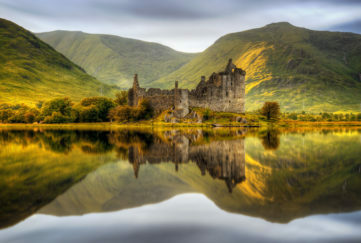 There are many more examples of castles built by the distinctive Norse-Gaelic culture of Scotland’s west coast and Isles. 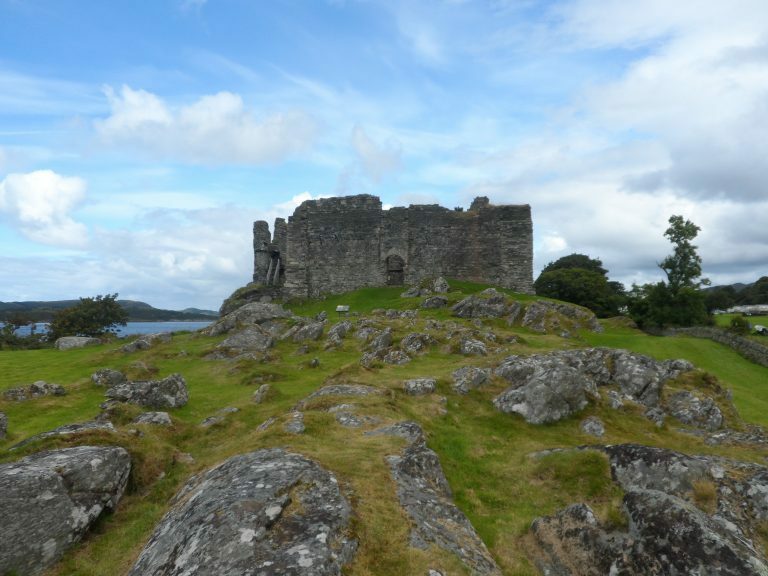 These include Castle Tioram, Dunaverty Castle, Dunollie Castle, Dunstaffnage Castle, Dunvegan Castle and Mingary Castle. You can find most in Argyll, and other clusters on Skye, Ardnamurchan and the Orkney and Shetland Isles. This post was just a taster, but I hope it inspires you to set sail for them yourself! 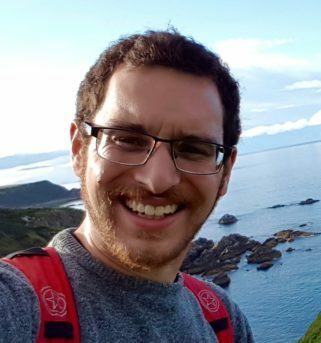 Discover more castles on David’s blog here, and on his website The Castle Hunter.